Morewind provided last week a 3 day workshop on wind turbine loading and control at Rio Energy Projetos de Energia´s headquarter in Rio de Janeiro. It was a pleasure to work with the enthusiastic and dynamic engineering team from Rio Energy Projetos de Energia on such an important topic for wind farm owner and operator. With the new version of the load simulation software for wind turbines mwLoADS v6.6 morewind engineering solutions GmbH enables even more effective work with simulated and measured data. The load simulation software mwLoADS facilitates automated generation of input files for the load simulation packages FAST by NREL and parallelizing of the simulation jobs within a computing network. FAST v8 with HydroDyn is now supported enabling the simulation of offshore turbines. Additionally, there now is a multi-parameter variation included accelerating iterations during the design process. 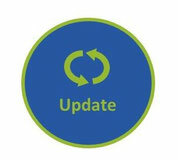 Changes have also been made in the postprocessing. The Excel interface has been redesigned to ensure a more legible format of both results of extreme and fatigue analyses as well as load comparisons and envelopes for several turbine variants. In addition to the FAST-format, the postprocessing and viewer now also support the BLADED and Flex5 timeseries formats as well as measurement data in FAMOS-format and MATLAB files. This enables the comparison of loads from different simulators or measurements. Statistical data like min, max, mean, stdv and 1Hz DEL of 10 min timeseries, usually used for load measurements, now can be created comfortably via mwLoADS. Alterations have also been made on the viewer. Amongst other things, on-the-fly time derivatives and filtering of signals are now possible. Furthermore, timeseries of different formats now can be compared simultaneously. morewind CEO Florian Stache facilitates a workshop on lifecycle strategies and the role of O&M at IQPC conference in Berlin. The discussion focuses on how data and data analysis supports O&M activities and a holistic view regarding the operation of wind farms. A particular focus is set on performance optimisation possibilities and life time extension. ABO Wind and morewind are working together on "Performance Analysis"
morewind and ABO Wind Betriebs GmbH started a cooperation on performance analysis by recently signing a framework contract. The ABO Wind Betriebs GmbH, headquartered in Heidesheim, focuses on operational management for wind parks, performs maintenance activities and in addition offers different products regarding expert services to its customers. The company that was founded in 1996 has nearly 500 wind energy turbines to with a nominal capacity of more than 1,000 megawatts under contract. Both parties now combine their competences in the field of performance analysis. The main aim is to evaluate wind turbines regarding possible turbine specific errors or ways of optimizing them through examining SCADA data. The results are then used to derive suggestions for improvement. ABO Wind contributes a long-time knowledge in turbine technology from operational management and its know-how with subsystems to comply with environmental standards to the cooperation. morewind provides a deep detailed knowledge within turbine technology and control which is based on the previous experiences from development and consulting for large wind turbine manufacturers. Furthermore, morewind can systematically bring in its expertise in load simulation and prototype testing, whereas in both cases the power curve plays an important role. For the second time, morewind was exhibiting at the Wind Energy, the world’s leading expo for the wind industry with more than 35,000 visitors. On four days, from 27. to 30. September 2016, morewind presented its service portfolio in cooperation with its co-exhibitor Andreas Kiehn in Hamburg. The main focus was set on the presentation of the load simulation software mwLoADS, which was developed by morewind and is based on FAST from NREL and enables an efficient wind turbine engineering process. Additionally, morewind presented an installation focusing on the topic “Hardware-in-the-loop”, a way of coupling a wind turbine simulation with real hardware. We are happy about all the positive responses and numerous visitors and would like to thank Andreas Kiehn! Summer is ahead of us and with it comes an update of our mwTSViewer. Highlight of the new version: different time series formats can be compared to each other. The team of morewind has added some more functionalities: Axial offsets and scaling can be adjusted for every time series folder. To find files and channels in long lists even faster, a search function is now integrated. An enlarged context menu, easier handling and an optimized surface for a quicker analysis of different time series complete the new mwTSViewer. morewind also put some extra work into the design: The Viewer enables an intelligent selection of line colour and style within the plots to compare time series. 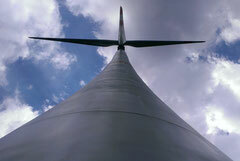 From 27.-30 September, morewind attends the Wind Energy in Hamburg, world’s leading expo for wind energy, as an exhibitor. In this context, the team will for the second time present its services in the field of load simulation, Wind Turbine R&D, Wind Farm Optimisation, Consulting/Training and its software product mwLoADS. For the first time, the global fair and the Annual Conference of Wind Europe (previously EWEA) will be held in parallel which will attract even more visitors. 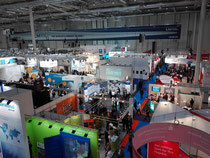 Visit morewind at the WindEnergy in Hamburg – Hall B7, booth 401! Find out more about our load simulation software mwLoADS! Since October 2015, the Wind Energy Technology Insitute (WETI) of the Flensburg University of Applied Sciences uses mwLoADS, the morewind toolbox. “In the context of a student project work, the designing of the wind turbine Optimus 150 was realized with the load simulation software. We just received positive feedback so far”, declares Rasmus Borrmann, research assistant at the WETI. In the near future, the institute plans to integrate the software in research and education. One main benefit lies within the combination of the open source software FAST from NREL with mwLoADS which enables an efficient pre- and postprocesssing. As a result, students and researchers can use a comprehensible developable aeroelastic code. 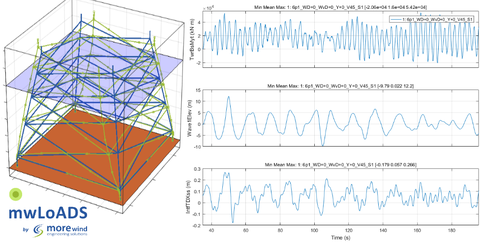 morewind starts into the New Year with a product update: The load simulation software mwLoADS is now compatible with FAST v8 in connection with the new Modularization Framework from NREL. The morewind software especially supports simulations with BeamDyn, an approach for FEM which is optimal for the modellation of long slender blades in FAST as well as works with HydroDyn on offshore wind turbines. Another benefit of using mwLoADS: Within the postprocessing, measured datas from BLADED and FLEX5 (FAMOS) can be evaluated and visualized. Further information about the toolbox mwLoADS are available here!